One Piece Luffy vs Coby – Pirate King vs Fleet Admiral? Today, we ‘re going to talk about an encounter many of us have fantasized about, the One Piece Luffy vs Coby fight. 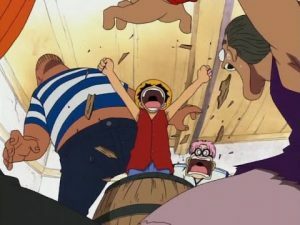 Coby, a little chubby boy with pink hair and round glasses, that was introduced as a cabin boy of the Alvida Pirates. Luffy was the one who set him free, and thus Coby became his very first friend in the series. Two boys that back then were nobodies, who had opposite ideals, but probably a similar sense of justice, began their journeys toward two different dreams. The Pirate King and the Marine Fleet Admiral, two aspirations that set them apart, but may connect them later on. Isn’t it only natural that one of the first important characters that appeared in the One Piece universe, would probably play some major role later on in the series? What that role may be? Let’s explore some possibilities. Could Coby be the final antagonist? It would be a fitting scenario, if Coby was the last person Luffy would have to overcome. The last man standing before him and the title of the Pirate King. But there are several ways this could happen. To start with, i must stress that Coby won’t be a villain of some kind. At least not in an evil, serious way. They won’t fight because they have different morals, but just because they followed two different paths to express them, that ultimately led to a clash. of course being the “chosen one”. Also, the whole story about the Void Century will have been revealed, with the Marines and the World Government changing because of that. After all those “main” occurences of the story will finish, and just when we ‘ll believe that everything has ended, Coby will appear as the last antagonist. The man who started as a friend, the man who was able to follow his dream because Luffy set him free. Luffy vs Coby, or Pirate King vs Fleet Admiral, the ultimate clash will happen. The most emotional fight of the whole series! My personal favorite would be for the fight to have no definite result. They will both fight to the utmost of their powers, with the anime ending the way it started. What is more fitting than that? It will imply that they will still fight in the future, much like Garp and Roger. The eternal fight between what is good and what is evil won’t end. The journey that started with the two of them in a random ship, will end with both of them having achieved their dreams, and becoming the ultimate rivals of each other. Coby has gone a long way after the 2 year timeskip, but still he is many levels below Luffy. Having trained under Mugiwara’s grandfather, Monkey D Garp, makes him the anti-Luffy. What i mean, is that after seeing both his son and grandson stray from the Marine way, Garp only wanted someone to take under his wings, that will follow the road his blood did not. That boy was Coby and he will be the man to inherit his will and strive to defeat capture the Pirate King. But the fact remains, Coby is so weak that cannot be considered a rival worthy of Luffy. That’s where our theory about a second timeskip comes in. This second timeskip will happen and that’s when Coby will close the gap and become a marine of Admiral level. He may not still become an Admiral though, due to him being disliked by the current Fleet Admiral Sakazuki. This fight has been foreshadowed during the War of the Best at Marineford, where Sakazuki almost killed Coby, before Shanks interfered with his badass entrance. We also know that the ideals of Akainu and Coby are exact opposites, despite them both being Marines. That’s why i believe that Coby will be the one to overthrow Sakazuki and change the Marines for the better. His power will rise, and that’s when he will challenge the current Fleet Admiral to a fight to the death. 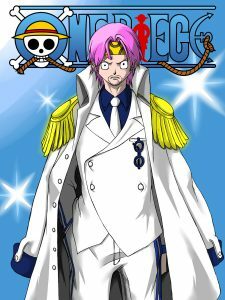 He will defeat him, becoming the Fleet Admiral himself and getting revenge for his beloved friend Luffy and the death of Ace. More importantly, he will rid the Marines of all the corruption and bring true justice to their ranks. 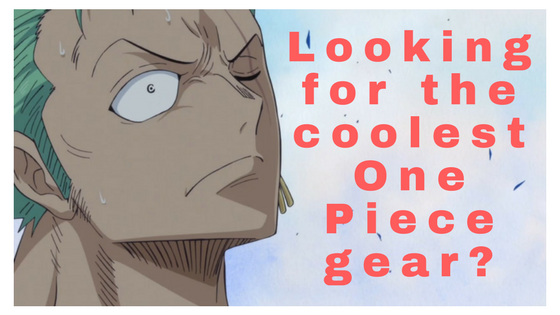 We blogged before about a big upcoming war, that will shake the New World up and change the balances of the One Piece universe once again. What could be the role of Coby there? I personally believe the war will happen before the second timeskip we mentioned before, in order to establish new balances for the Worst Generation of Pirates and lay the groundwork for the last arc. This one may be the Reverie Arc, but more on this in our upcoming post(one of my favorite theories, so stay tuned ;)). I personally don’t see Coby to be strong enough, in order to play a vital role in this war. Marines and Coby will take his place. He will represent orange because he will get the Mera Mera No Mi that Sabo has(more in this in the next post i talked about). So, we have the three new Admirals with their colours, but who will be the next Fleet Admiral? The White Dragon Smoker. Another early rival of Luffy. Now, we have a new possible showdown that will go like this. The Fleet Admiral Smoker against the Revolutionary Leader, Monkey D Dragon(a fight also foreshadowed in Loguetown). 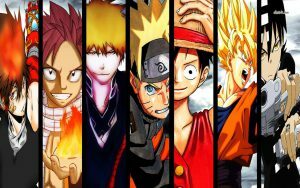 Also, Monkey D Luffy against Coby, Law against the other swordsman Issho and the two evil guys of the trade, Ryokugyu against Eustass Kid. So, here we have the possibilities for the One Piece Luffy vs Coby fight. I know you may have questions, so i have some posts coming up, that will expand upon today’s theories, and give more reasoning behind what may happen. As always, like our facebook page for updates if you haven’t(go on there’s a banner to the right :P) and leave your comments below. I’m interested about what you guys think about this one :). p.s. Did you check our recommendations page yet? Come on, you are missing out :D.
Well I will say this, I had no idea what your site was about. I found myself looking around wondering for a moment trying to figure out exactly what I was looking at. I think the layout threw me. Anyway once I got a handle on it, I was really intrigued. Nice article! I definitely want to read a bit more. Hello Marc and welcome. Glad you liked the website and i hope it may spark your enthusiasm about the wonderful world of anime. Should you be a gamer, check out our latest g2a review. Cheers! Previous Previous post: How to make money with g2a – What is the Goldmine feature? 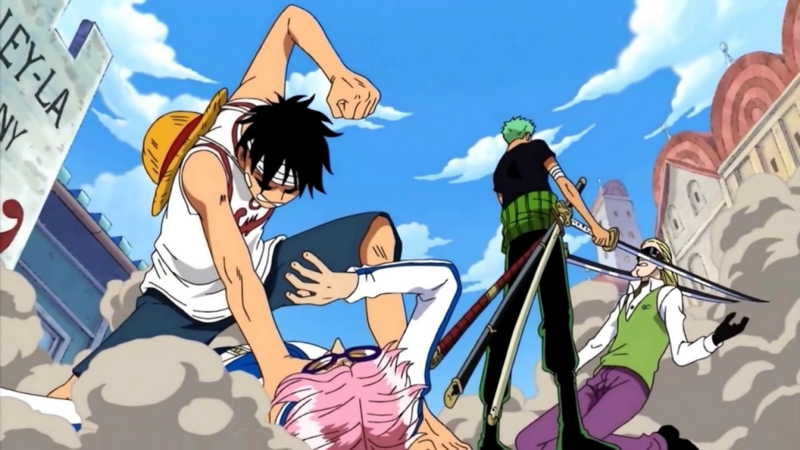 Next Next post: One Piece Reverie Theory – Will the Revolutionaries attack?